The keynote sessions that kicked off the second day of OpenStack Summit Tokyo continued the theme of containers, but got a little deeper into the business drivers, and the purposes of why we’re building scalable clouds. Resonant Japan talked about accelerating business operations, cost reductions, and supporting the scalability of the third-largest portal in Japan – Goo. Scott Crenshaw, SVP at Rackspace, talked about how containers increase performance, offer simplicity through their new Carina Clusters offering, and bring better economics to clouds at scale. So I want to share why I’m so excited to hear what our colleagues and partners are talking about. The night before the summit started, Mark Shuttleworth brought together the Canonical team to talk about the driving forces behind everything we’re working on. The centers of gravity for what we do are Economics, Simplicity, Scale, and Performance. That’s exactly what our colleagues said in their keynotes to kick off day 2, and Canonical is packaging those concepts in software you can deploy in your own environment. It’s not an accident that Ubuntu is the majority platform for all OpenStack deployments. The economics, and the ease of use that our supporting tools like MaaS, OpenStack Autopilot (more on this tomorrow), and Juju (ever more on Juju tomorrow, too!) provide are really unmatched. If you use any of our tools, or even just Ubuntu, I think you see the simplicity is in the forefront. Performance resonates throughout, just consider the LXD announcement from the previous OpenStack Summit in Vancouver, BC – 14x density, reduced latency, increased throughput, over KVM. The other theme we got out of yesterday was about networking. The network is finally seeing its big day. Neutron had more commits to it than Nova. The SDN vendors, Canonical partners as well, are all seeing increased uptake in their differentiated offerings. 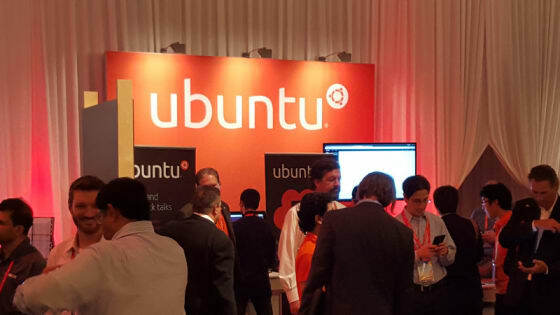 Canonical will be talking about a new way of looking at the underlying construct of sotware defined networking in day 3 sessions, so check in tomorrow for our day 3 update for more on networking, and more on the four centers of gravity that are making Ubuntu OpenStack so consumable and usable.